Painting is a substantial investment for our clients – in time, money and labor. At Excellence Custom Painting we believe that when it comes to selecting paint, quality does matter. But what does “quality” mean and what benefits can you expect from high-quality paints? High quality products are made with ingredients that allow for easy application, more durable, longer lasting and attractive finish. Pigments, binders (or resins), solvents and additives are four key ingredients that affect the quality of paint coatings. High-quality paints have more pigments and binders, which result in a thicker, more durable paint film with better coverage. Before you make your decision about paint choice based on its price, consider the marginal cost of using less expensive, low-quality products. Lower quality paints require more coats to cover, the finish is less visually appealing, less durable and it will need more maintenance. This is especially true of exterior coatings. Whether you’re looking at interior or exterior paint, and if you’re considering adhesion, durability or decorative properties, a high-quality products will give you better overall results. At Excellence Custom Painting we have the expertise to help you make informed decision about your paint choices, whether it’s based on your preferences or budget. Many of our customers are also concerned about the effects paint ingredients may have on their health or the health of their home. While for some people, the smell of new paint ranks up there with fresh cut grass, the typical household paint contains many chemicals, some of which are known harmful toxins. 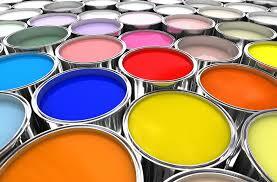 The most harmful chemicals found in paint are the VOCs (volatile organic compounds). These compounds are unstable and readily vaporize into the air. If you’re interested in safer alternatives, such as low-VOC or no-VOC products, we would love to work with you and explore available options. Generally, latex paint uses water-based solvents and it has lower VOC levels and is more environmentally friendly than oil-based paint.